Another interesting post possibly detailing ancient technology from our deep past or else where. There have been several researchers who proffer the notion that breakaway civilizations have been active on the earth, dating back deep into our past. fact appear to be a spark plug. This is an example of how discernment can be used, and our biases about what we want it to be should not maintained. It is a fascinating find non the less, because it also underscores how easily any one can let their biases over whelm them. I admit I thought this was a one of the many strange artifacts found and suppressed by mainstream science, but the path of truth compelled me to dig deeper, and now it is more likely, given all the available data, it is only about 90 years old. 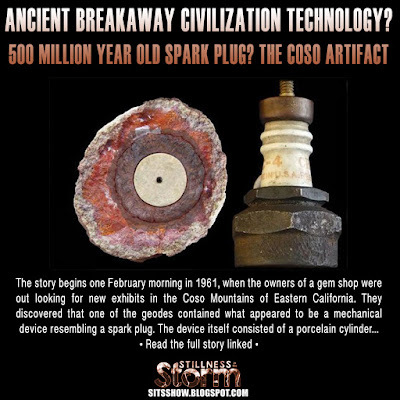 The Coso‘Spark plug’ is one of the most interesting and anomalous artifacts ever discovered. Its story begins one February morning in 1961, when the owners of a gem shop were out looking for new exhibits in the Coso Mountains of Eastern California. Little did they know that, among the geodes they collected was a controversial relic that would challenge what we knew about our planet’s past. The next day, they started cutting into the rocks, hoping they contained valuable crystals inside. Instead, they discovered that one of the geodes contained what appeared to be a mechanical device resembling a spark plug. The device itself consisted of a porcelain cylinder circled by rings of copper. 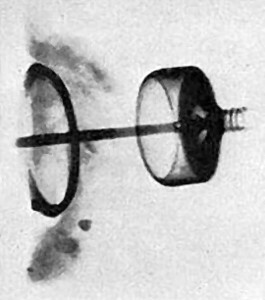 X-ray-analysis showed a magnetic rod and a metal spring were housed inside the cylinder. The rock also contained a soft, white substance that was never identified. But the most puzzling aspect of this find was the age of the geode, which was determined by analyzing the stratum in which it was found as well as the presence of a concretion of marine animal fossils on its surface. Geologists determined it could be as old as 500,000 years. All evidence seemed to suggest the Coso artifact and the white substance covering it had spent a long time submerged under seawater. But what civilization had been advanced enough to engineer and then lose it? Was it even an earthly civilization? Turning to mainstream science for answers would be in vain. Adepts of creationism have cited this oopart (out of place artifact) as evidence for the existence of an advanced pre-flood civilization while atheists have always dismissed it as a hoax. Unfortunately, this disputed relic was not subjected to rigorous testing and there’s little chance it will ever become the central point of unbiased scientific analysis. It simply vanished in 1969 and hasn’t turned up ever since. The Coso artifact and other equally-intriguing ooparts will silently fuel conspiracy theories from the obscure comfort as a centerpiece in someone’s private collection. The next item on the 10 Most Puzzling Ancient Artifacts list is the Coso Artifact…or as it should be more correctly named; The 1920’s era Spark Plug that got confused for a Geode. Which if you know anything about how metal corrodes, debunks this entirely. It also takes all the fun out of writing a big’ol blog post about this, so let’s start at the beginning shall we? In February of 1961, Wallace Lane, Virginia Maxey and Mike Mikesell, who were looking for minerals to sell in their shop in Olancha, California discovered a specimen that looked rather different than their normal fair. The outer layer of the specimen was encrusted with fossil shells and their fragments. In addition to shells, the discoverers noticed two nonmagnetic metallic objects in the crust, resembling a nail and a washer. The next day, in his workshop at their store, Mike Mikesell claims to have ruined a nearly new diamond saw blade while cutting the specimen in half. Inside Mikesell discovered a perfectly circular section of very hard, white material that appeared to be porcelain. In the center of the porcelain cylinder was a 2-millimeter shaft of bright metal which responded to a magnet. There are the only hard facts we have on the origin of the Artifact. Beyond this, things start to get hazy, and red flags begin to pop up. We don’t know what all was done to examine the Artifact early on. We know that Virginia Maxey claims that she took the “geode” to a geologist who dated the artifact to be about 500,000 years old. We don’t know who this geologist is, what he did to examine the Artifact, what his real conclusions were, or if he really existed. Whoever he is, I question his expertise, because this is object is obviously not a geode. You can see the concretions growth around the spark-plug. Remember the Klerksdorp Spheres that I went over in an earlier post? This is the same kind of thing. 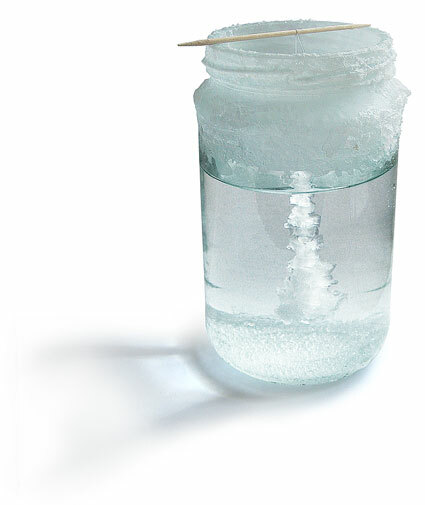 Only instead of making a sand candle, this is more like growing salt crystals. Think back to when you were a kid and for a science project you made a supersaturated liquid, added a string, and watched crystals grow. Ok, never did that one? Go to you kitchen, boil about a cup of water, take a spoon and quickly start adding either salt or sugar, stirring slowly so you don’t over cool the water, until the salt/sugar refuse to dissolve completely anymore. This might take a bit, and it will take a good deal of salt/sugar. Next take a thin fibrous string, soak it in the liquid and then hang it up so that one end is still in the liquid. Now wait, for a while, like a day or better. You’ll notice that crystals start forming on the string as the liquid evaporates, the more you were able to dissolve into the liquid, the bigger your crystals will grow. Now, this isn’t a perfect analogy, but it is pretty much what happens when you leave ferric (iron) metals in damp ground for long periods of time. The water begins to oxidize the metal, the oxidation acts like glue sticking things too it (like the sand in the sand candle), and the larger the bit of metal, the bigger the concretion will grow. Just like in the example, you need something for the concretions to adhere to, like the string, only here it’s our ferric object which also causes the oxidation. This is a common occurrence, especially in historic archaeology, where we find nails, hinges, door knobs, handles, files, etc by the bucket full. The first time you see one, you think it’s some kind of rusty potato, but it’s obviously metal of some kind. It’s hard to identify these objects, and you basically learn from experience to tell what they are, when you can. This concretion is also common in underwater archaeology, but underwater archaeologists have sophisticated ways of removing the buildup without damaging the artifact underneath. You can go watch the process in action at the Indianapolis Children’s Museum right now as they clean a cannon recovered from a sunken ship. So far we have an unidentified metal and porcelain artifact recovered by some rock-hounds. They don’t know what it is so they take it to a mysterious, unnamed geologist who somehow dates it to being 500,000 years old, despite the oxidation that the geologist should have noticed. To add to this, the Coso Artifact possesses no characteristics that would classify it as a geode [Stromberg 2000]. Geodes consists of a thin outer shell, composed of dense chalcedonic silica, and are filled with a layer of quartz crystals [Stromberg 2000]. 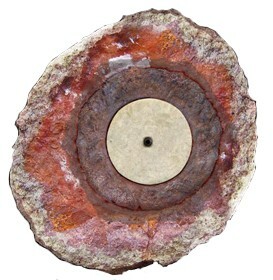 The Coso Artifact not only has neither of these characteristics, but its outer shell is softer than a Geode [Stromberg 2000]. These are glaring differences that a geologist would have noticed. “To help us to learn more about spark-plug technology of a century ago, we enlisted the help of the Spark Plug Collectors of America (SPCA). We sent letters to four different spark plug collectors describing the Coso Artifact, including Calais’s X-rays of the object in question. We expected the SPCA to provide some vague hints or no information at all about the artifact. The actual answers were stunning. On September 9, 1999, Chad Windham, President of the SPCA, called Pierre Stromberg. Windham initially suspected that Stromberg was a fellow spark plug collector, writing incognito, with the motive of hoaxing him. His fears were compounded by the fact that there is an actual line of spark plugs named “Stromberg”. Though Stromberg repeatedly assured Windham that his intentions were purely for research, he was puzzled why Windham was so suspicious and asked him to explain. Windham replied that it was so obvious to him that the artifact was a contemporary spark plug, the letter had to be a hoax. “I knew what it was the moment I saw the X-rays,” Windham wrote. So, a definitive ID, and no decent among experts on the subject. We know the Coso Artifact wasn’t a Geode and that it is a 1920’s spark plug. Now what? Now we have to deal with those who ignore facts in order to pursue their own belief. Included in this group of people are, of course, the Ancient Alien folks, who claim that the Artifact is evidence of early contact with aliens who’s space craft apparently broke down and then left spare parts behind. Also in this group are the Young Earth Creationists who seem to think the Artifact somehow proves a young earth…by being dated at 500,000 years old, and ignoring the fact that simple math once again eludes them. And so there you have it folks, The Coso Artifact aka The 1920’s era Spark Plug that got confused for a Geode. I won’t lie, I was a little disappointed with this one, but hey, they can’t all be winners right? “The Coso Artifact.” Bad Archaeology. http://www.badarchaeology.com/?page_id=223 Accessed July 9th 2012. 2000. The Coso Artifact : Mystery from the Depths of Time. The Talk Origins Archives. 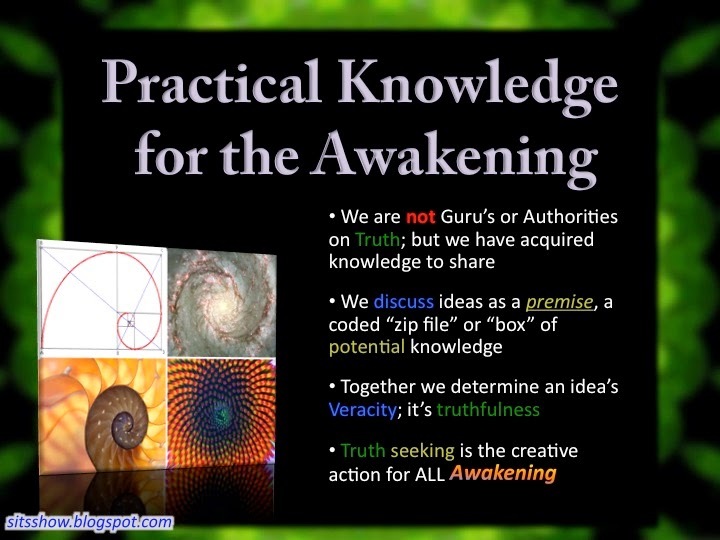 http://www.talkorigins.org/faqs/coso.html Accessed July 9th 2012. 2004 “The Coso Artifact: Mystery From the Depths of Time?” Reports of the National Center for Science Education. March–April 2004. 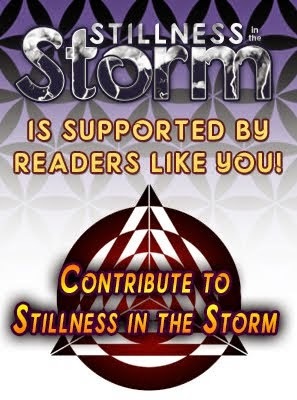 Vol 24 Issue 2. http://ncse.com/rncse/24/2/coso-artifact Accessed July 9th 2012.